Mondo, in partnership with Acme Archives, continues its beloved Star Wars Portrait Series by Mike Mitchell this weekend with a new character from a galaxy far, far away. This release includes The Force Awakens’ big baddie, Kylo Ren! 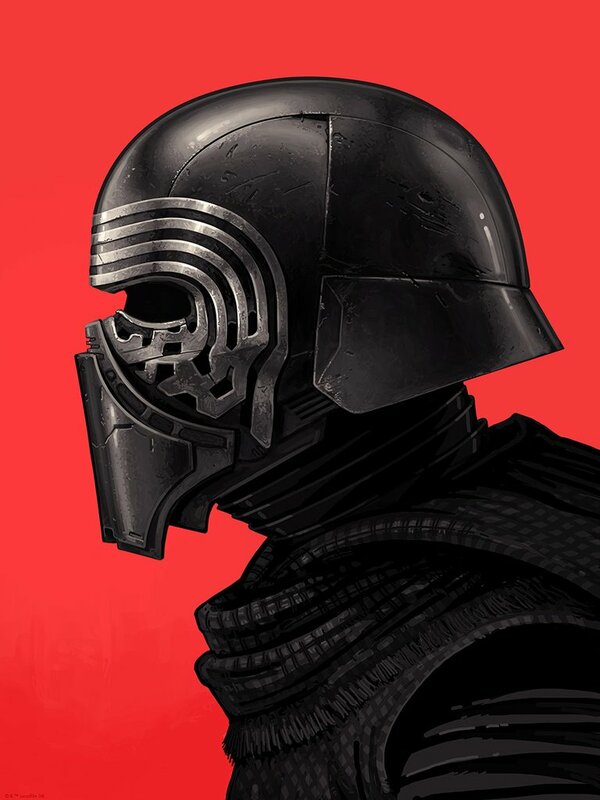 Kylo Ren by Mike Mitchell is a 16”x12” hand signed and numbered Star Wars: The Force Awakens giclee portrait print. This print is a timed-edition release, which means it is available for 72 hours from now through Sunday, November 20th, at 12pm CST. Collectors can place their pre-orders it now at the Mondo online store for $55.